The students awaiting their HBSE 12th date sheet have landed on the right page. Board School Education Haryana has released the HBSE 12th date sheet on 20th February for the year 2019 12th board exams. The Haryana board 12th Date Sheet can be downloaded from the official website of Haryana board. 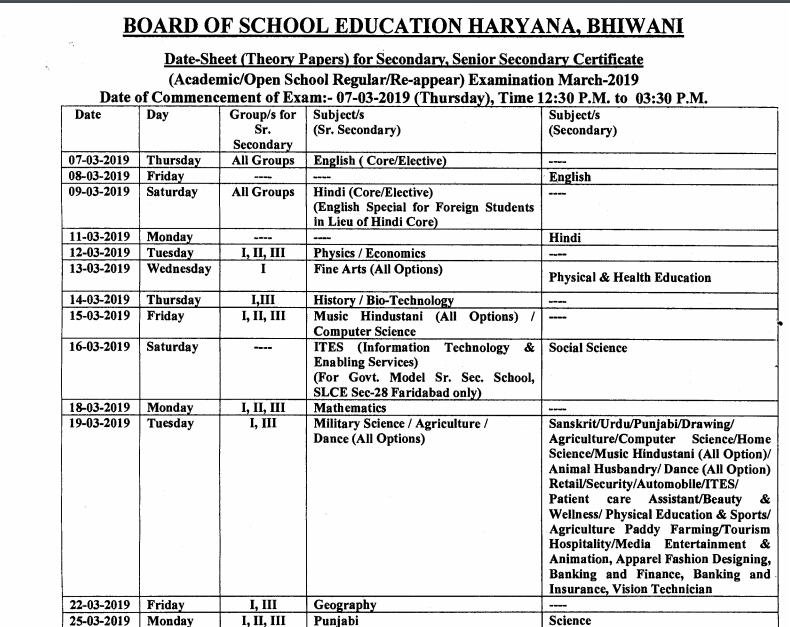 For the convenience of students, the Haryana Board class 12th date sheet 2019 has been provided here. Students can check as well as download the HBSE 12th date sheet 2019 from here. According to the notification released by the Haryana board, the exams for Class 12th shall be conducted from 7th March 2019 and will end on 3rd April 2019. Check out the complete details below. 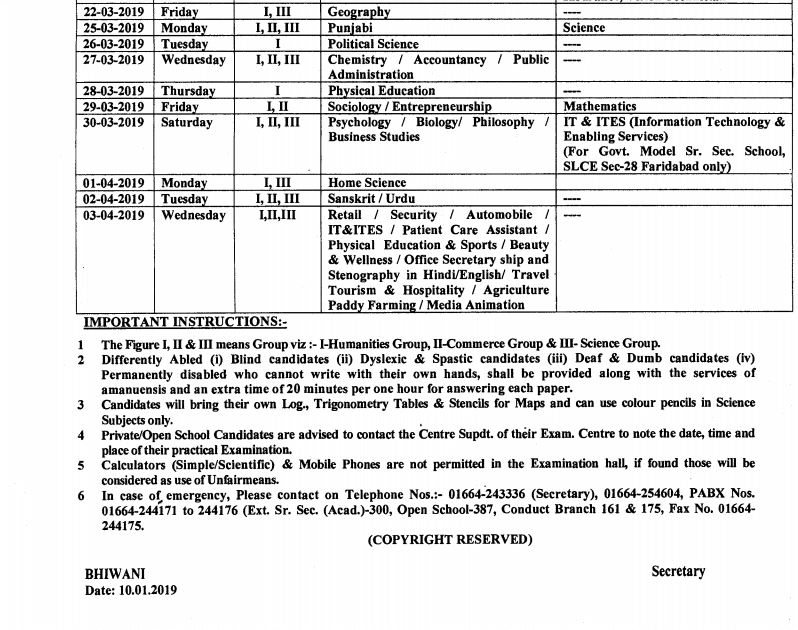 Students can also check the HBSE 12th Date Sheet 2019 given below. On the Home page, you will find “Enter Website”, click on it. Under the announcement, section click on the Date sheet. Select Date sheet - Sr. Secondary Examination March 2019. Now you will be able to download the date sheet. Differently abled those who cannot write with their own hands, will be provided an extra time of 20 minutes per hour for each paper along with the services of the amanuensis. Students have to bring their own log table, trigonometry table, and stencils for map and are allowed to use color pencils in science subject only. Mobile phones and calculators are prohibited in the examination hall if found will be considered as use of unfair means. In case of emergency, contact the phone numbers given on the date sheet.